Firstly, If you haven’t been with us from the beginning you might wonder what we are all about. Well we were started in 2007 by a group of individuals who were playing the MMORPG: EVE Online and got tired of listening to the same 30 tracks of ambient music over and over and over and … well you get the picture. And thus New Eden Radio was born. Over the years we have tried to expand our circle of influence to include all gamers, whether it be PC or Xbox, PlayStation, or Nintendo, Gamers of the world can frequently agree that while many of the games we are passionate about are amazing, if you play them for long enough the sound track can get a bit stale. While we still focus on EVE Online and its community we attempt to bring news about new games and do game reviews whenever possible to make sure you, the avid gamer, get some epic music and some interesting news about some of the latest and potentially greatest games to play. With this in mind, we invite you to join our family to play the music you love, and get the chance to talk to people in the game industry, interview them, and conduct reviews of games that may still be in development. Opportunities to play and review the latest games, and keep the games when you are done. Contribute to the station and help further our quest to provide Music Mayhem and Madness to gamers everywhere. Now you might find your talents lie behind the scenes, or just not on air. We are looking for people with a multitude of skills to help our little family grow and prosper in the months and years to come. If you feel that none of these adequately defines what you would like to do to help New Eden Radio, Tell us! email us at : Managers@NewEdenRadio.com and let us know what you think you could do to help get our station more popular and successful. I’ve been volunteering with New Eden Radio nearly since the beginning of its creation and I would love to see it grow, expand and thrive. Please come join us and help that make that goal a reality. We need more staff members to keep things moving and groovin, rockin and boppin. I hope that reading this has inspired you to consider volunteering with us. 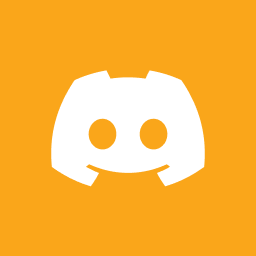 If you have any questions please do not hesitate to join our Discord channel and ask there, or just privately message one of our staff. We will answer any questions you may have.